Just thought i would give all of you some eye candy for a little project ive been working on. Ive been shooting some NRA prone smallbore matches for a few years now. I use it for crosstraining for highpower Prone @ 1000 yards and in. 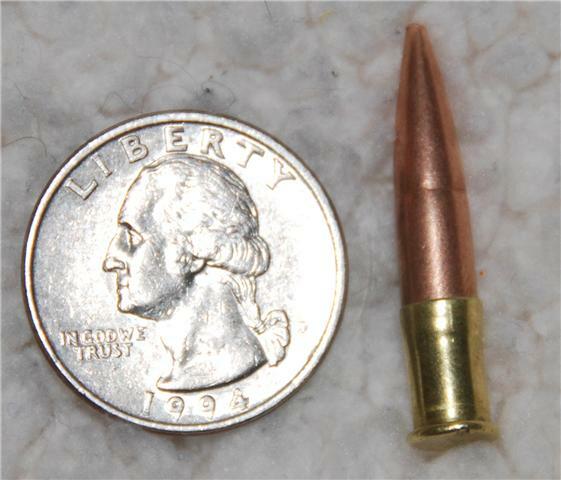 Ive come to the conclusion that the 22LR case is really at the mercy of the wind at anything past 50 Meters. So to get an advatage over my fellow smallbore shooters, I have been experamenting with some new bullet/powder combos to see if I can market this little jem. 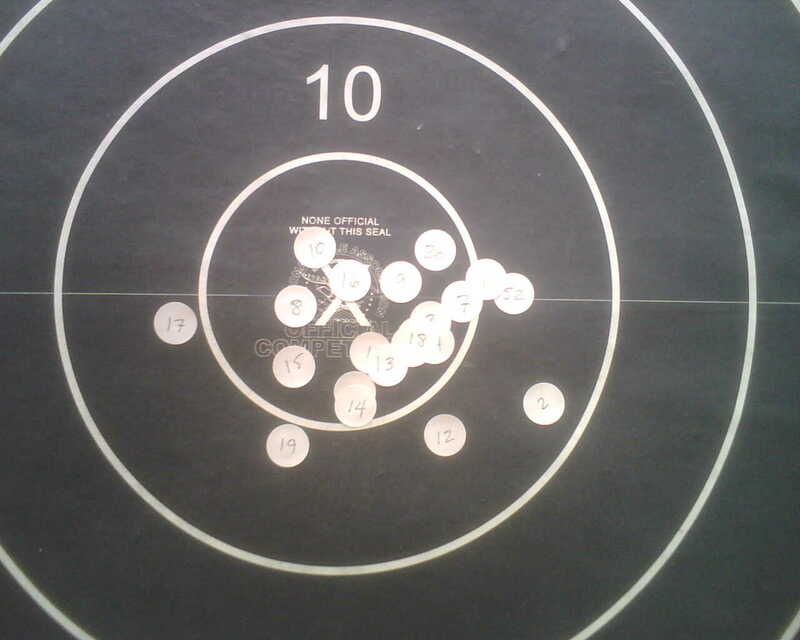 In the picture you will see the first successful attempt to create a wind cheating uber ultra rimfire round. 3 grams C-4, Hence the use of the 22 Short case, Dont ask how I know? 80 Match King bullet sorted by weight, and base to Ogive. Jumping the bullet .009 off the lands. The rifle is my 1600 series Anchutz with one new locking lug welded on to handle the extra pressure. Turns out that this last batch of C-4 is a little slower burning (igniting) and works really well with the new short Eley case. Velocity is a respectable 2600fps with as SD of 6. I think some messing around with the neck tension could get the SD down even farther. I cant wait to debute this baby this spring in the monthly 100 yard prone match. Next plan is to neck it down to 20 cal and shoot the big 50gr Bergers. I might have to turn necks to get it to work. I havnt figured that part out yet. Boy winters get long and my mind just races with ideas. Can I get your blue-prints for that reamer?? Got a new 8" Bench Grinder from Harbor Freight, and want to whip a reamer out and give your Wildcat a try. See your point to improving your neck tension, since your target shows a few out of the X-ring. I will have to tranfer my print from the Bar napkin I used At O sullivans on Beal St.
Im not sure the Nickel or lack there of in the Corvette independant Rear suspension will hold up. Maybee the ring and pionion Or in this case the pinion from a 1969 Boss 429 Mustang would do. You could just grind that down on your new grinder. I used a brand new Fat Max Stanley Tape measure to get it just right. Loading for this case is super easy. Just pull that lead brick Eley calls a bullet, dump out that flackey stuff they call a propellant. Take the case and shove it straight into the block of C-4 until the case is full using a cookie cutting twist to fill any voids. Pull the case back and seat a bullet really really slow and lightly. The bullet seating depth is critical to great accuaracy, so be very sure you test several seating depths. I ran out of Argon for my Mig welder when I was ready to add the locking lug on my Anshutz, so I used a Lincloln Arc welder and some good ole 7018 rod. I had to barrow a freinds Dremel tool to smooth it all out. Chambering was very easy once I got the reamer cut right. You cant beat the 1/2" Milwakee super hole shot drill. Tons of power!! The chuck showes very little run out. And when I checked the reamer for run out on the cement floor by rolling it back and forth I was very impressed. If this seams to big a project for you I may have time to do an extra one for you,now that I have done a couple. Let me know if this is feasable or not. Is it possible you dropped a live round at the range? Anyway, one of the mower crew hit something and he is a little shaken. You might want to stay clear until ATF and the dogs have left. Seems like there is always one naa sayer. Hey Mark the earth really is round and not flat!! I think it is a brilliant idea and don't understand why someone hadn't thought of it until now. But I was wondering, if I sleeved my Annie could we shoot long rifle cases? Think of it; a 2000 yard whistle pig round. Dang. Barrel life might not be great, but it would be worth it. The good news is ATF reconsidered their original position and the new ammo will not be classified as an explosive device. Buying a stamp for each round would have made it nearly as expensive as a box of CCI primers on GunBroker; not to mention filling out all that paperwork for each shot fired. Russ, great project! When you come out to Phoenix I have some special surplus Soviet 4C (for Commies) that might be better than our C4 since they don't have to meet OSHA standards in manufacturing. Sure you lose a few comrades at the plant every week, but it's good stuff and hardly temperature sensitive as long as you don't go above a good Moscow winter day's temperature. It does require adding a drop of vodka as an oxidizer, though. Sometimes the vodka supply runs a bit low before all the loading is done but Boris tells me that only makes for a more exciting session at the range. Being a Pepsi kind of guy, I wouldn't know, but you can experiment with the local additives. The oxidation proccess should give some extreme velocities as it should gives the propellent a Solid rocket fuel type quality. Maybe all that schooling at MIT payed off.